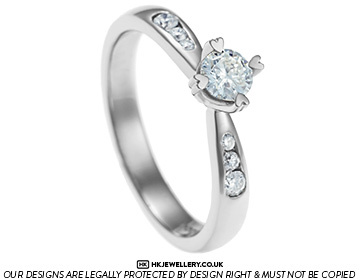 This delicate palladium engagement ring is a twist on a classic as it features a romantic 'heart' motif that has been incorporated into the central four claw setting. 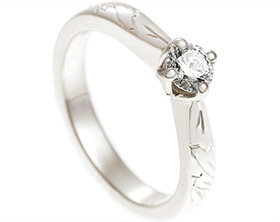 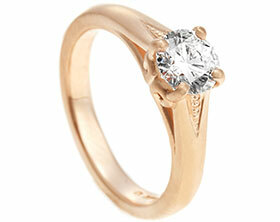 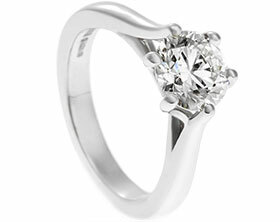 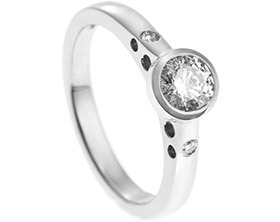 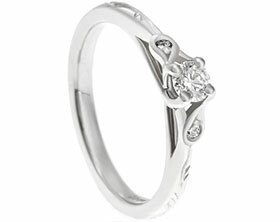 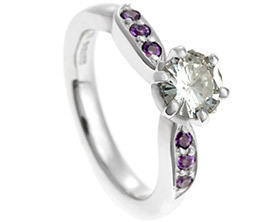 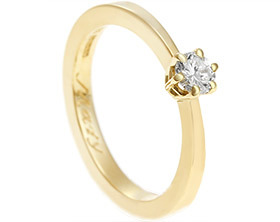 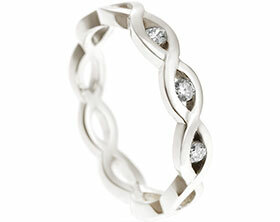 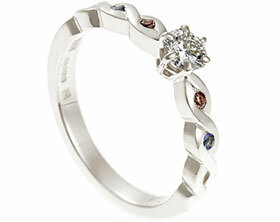 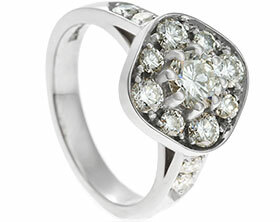 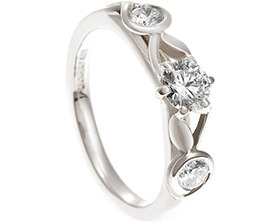 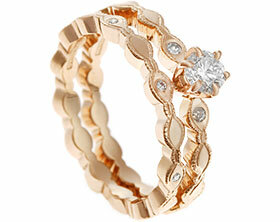 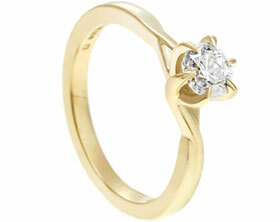 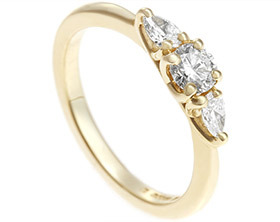 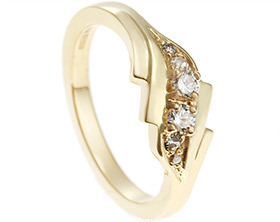 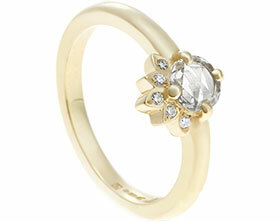 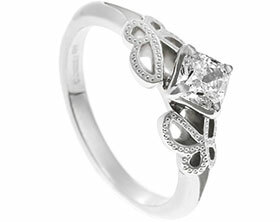 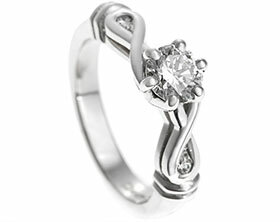 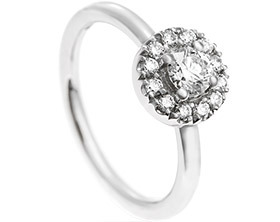 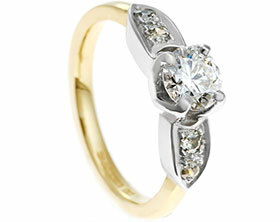 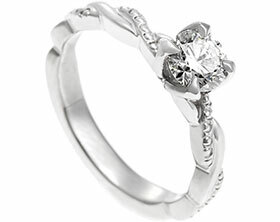 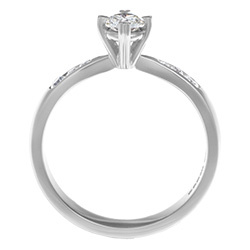 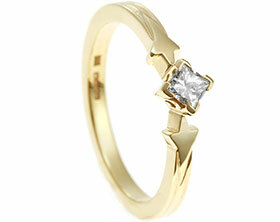 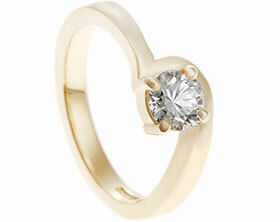 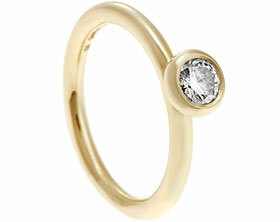 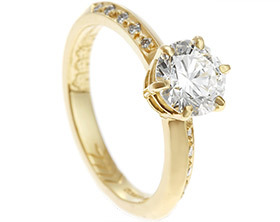 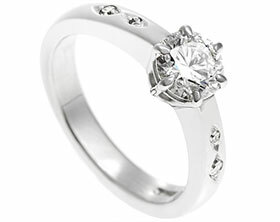 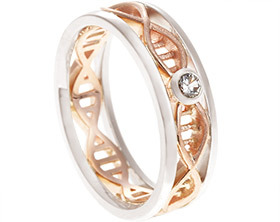 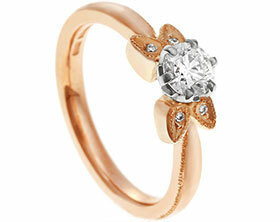 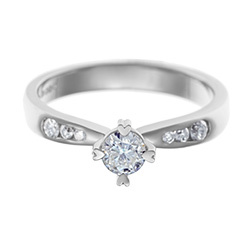 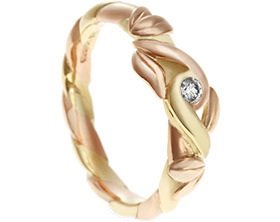 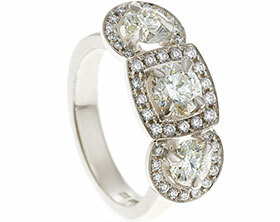 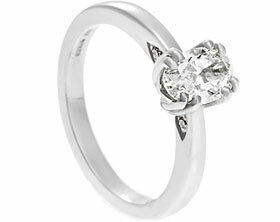 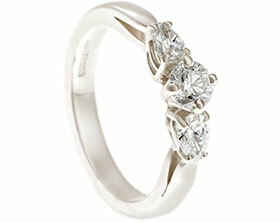 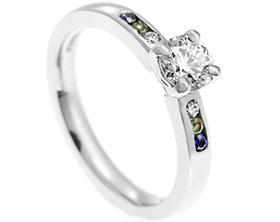 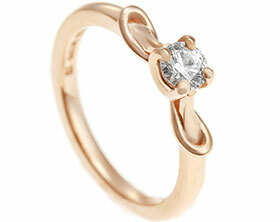 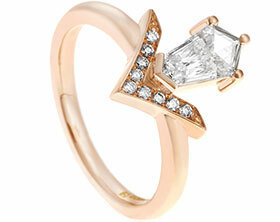 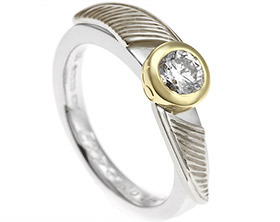 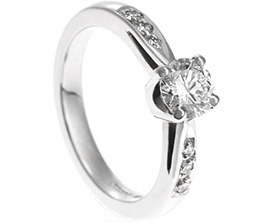 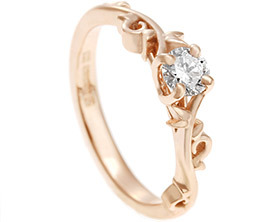 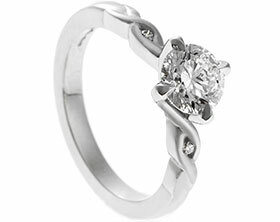 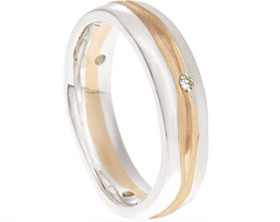 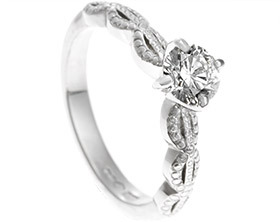 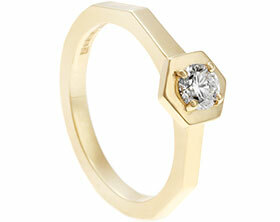 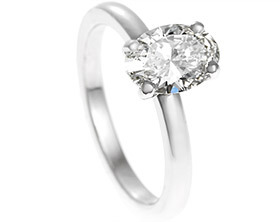 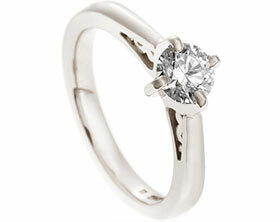 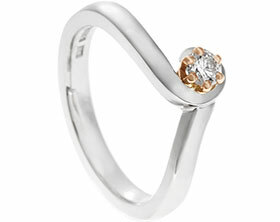 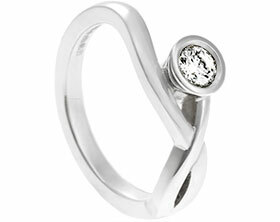 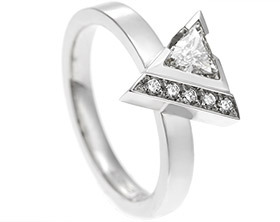 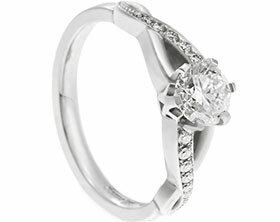 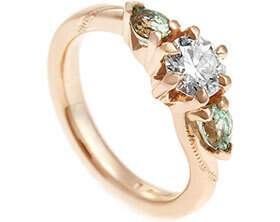 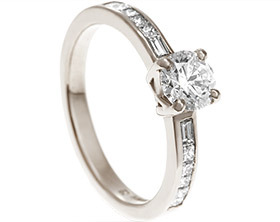 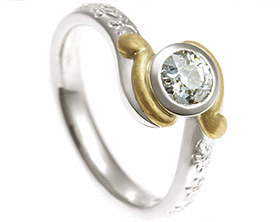 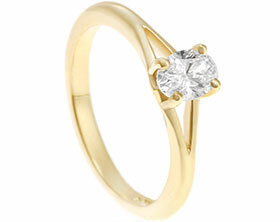 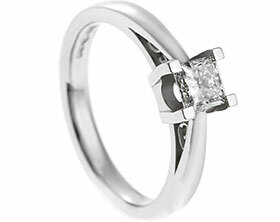 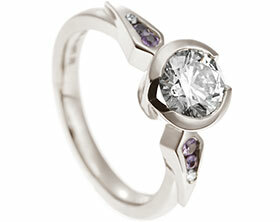 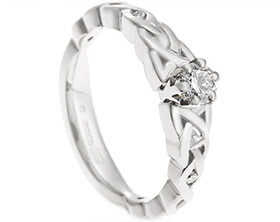 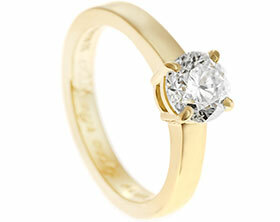 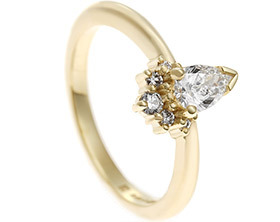 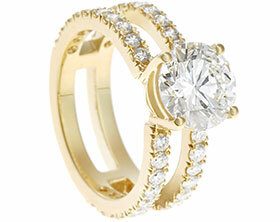 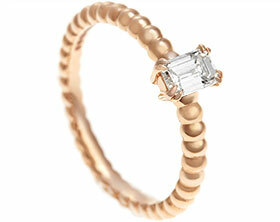 The focal point of this design is a 0.23ct brilliant cut diamond. 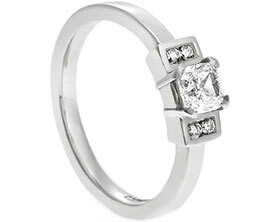 Vic, our stone setter, has channel set three brilliant cut diamonds graduating in size into each shoulder taper towards the central stone. 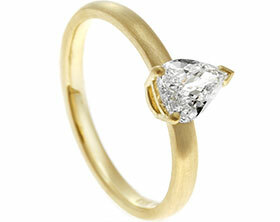 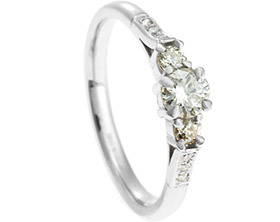 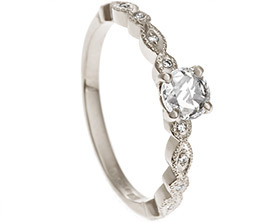 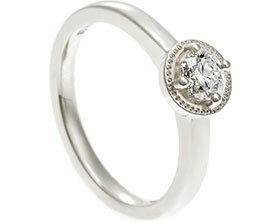 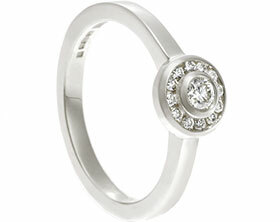 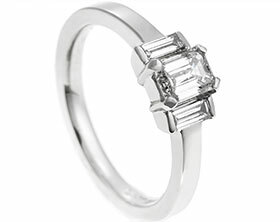 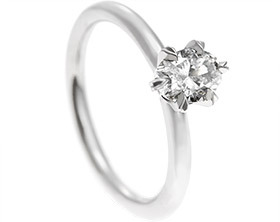 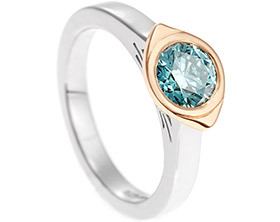 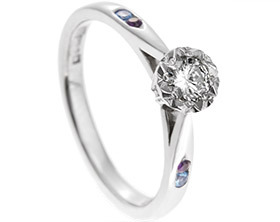 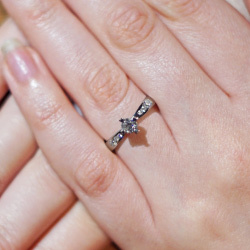 The total carat weight of the diamonds in this engagement ring is 0.35cts. 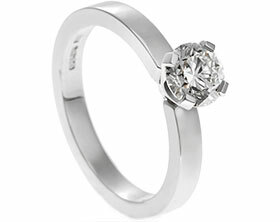 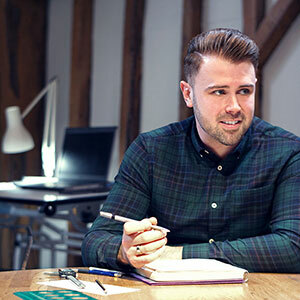 Tom chose palladium for this design as the crisp white finish of the metal perfectly complements the diamonds to create a timeless and interesting piece.